As I sit here writing.......... the same 3 neighborhood dogs have been "talking" to each other going on about 5 hours. I love dogs, I love dogs more than most people, but for the love of the dog pound, can we get these things to SHUT UP?!?! I had to get it out to someone, and you guys were here. And so it goes! I don't know about you, but when I get asked to bring "something", "somewhere" last minute, I panic. I seriously have 50 things in my arsenal that are for situations just like these, so why do I panic? "Have I taken this before"? :Will anybody like it"? "Do I have all the ingredients". Those kind of thoughts run through my head. Because let me tell you something, I dislike going to the store. I want to make the list, and have an expert pick my items up and deliver, then I need someone else to put them away. Again, distracted. UGH these dogs! 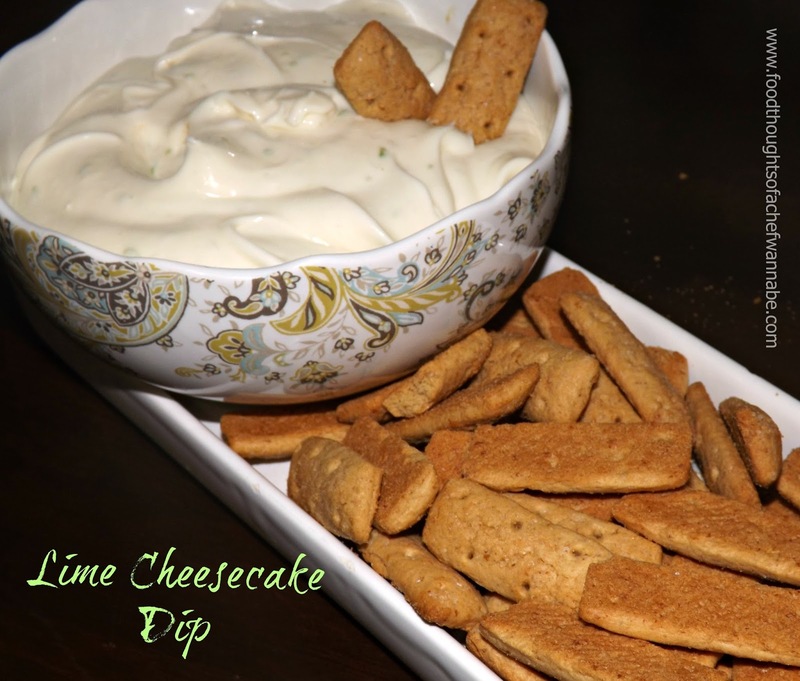 Here is a simple, 4 ingredient dip, that you can whip up in ohhh....let's say 3 minutes, if you have to plug in your hand mixer. Please, serve it with some honey graham sticks, they are the perfect balance. OR, you could do nilla wafers, or, whatever tickles your fancy. Add all ingredients to a bowl and get at it with your hand mixer. Mix until creamy and smooth. Refrigerate at least 1 hour before serving, longer is better. SEE! Now, get your things together and get off to where you are taking this to, and throw kisses to your public as they swoon over your dip!